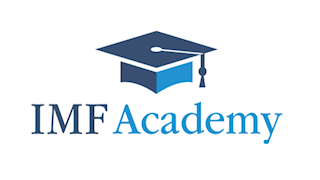 IMF Academy is part of International Management Forum (IMF), an independent publisher and training organisation focusing on business information for higher-educated managers and decision makers in large and middle-sized organisations. We are specialist in providing business information by means of distance learning courses (courses fully aimed at self-study, at will supported by online learning), master classes and hot topical (certifying) classroom trainings. During the past 25 years, we gained a solid reputation by providing to the point and valuable information about topics both critical and of current interest. Our customers derive from over 40 countries worldwide! The content of our courses is developed in close cooperation with acknowledged subject matter experts working at large international consultancy organisations or smaller, specialised consulting bureaus. Our trainers come from organisations such as: AIIM, Antwerp Management School, Atos Consulting, Capgemini, Centric, CGI Group, Conquaestor, Deloitte, Duthler Associates, Executive Mobility Group, G31000, IBM Business Consulting Services, Insite Security, Inter Access, KPMG, Microsoft, PwC, SABSA Institute, Sogeti, TIAS School for Business and Society, Transfer Pricing Associates (TPA), various universities and many, many others. IMF Academy is able to organize any (regular as well as customized) training as an incompany training or as personal coaching at your office or any other desired location. We know the (international) training market and always have the solution for your training demand.